Reformation Togo | "Northern Crossings"
Many of you remember the Wolf family who visited North Dakota and Minnesota a while back as they prepared to get to Kenya. 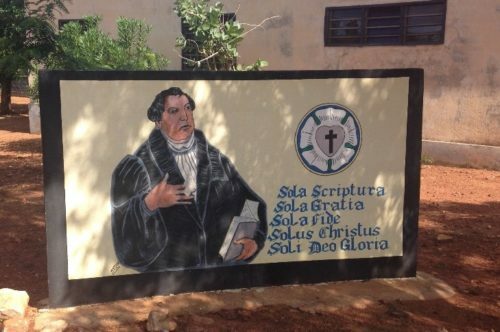 In their newsletter they sent a picture from Togo in West Africa of church art work. I thought it was well done. The Missionary Enterprise and the Manifold Wisdom of God.